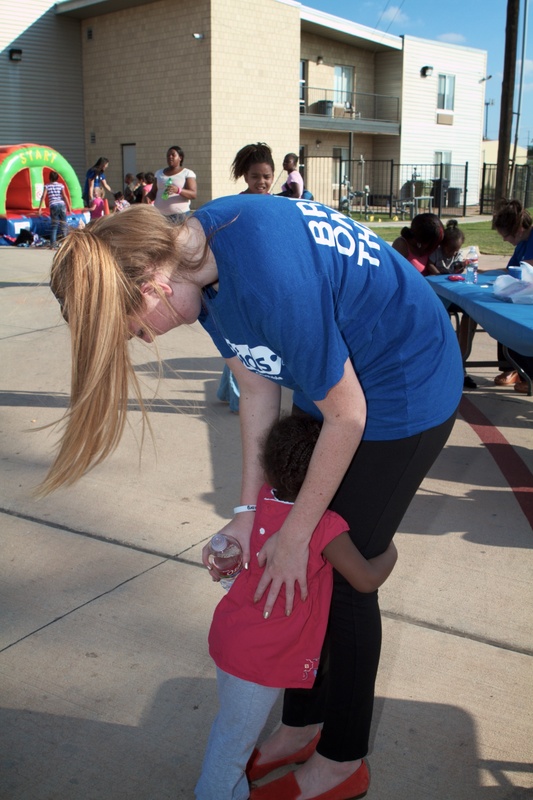 Home / PHOTOS: #BringOnTheFun block party with the City Rescue Mission! 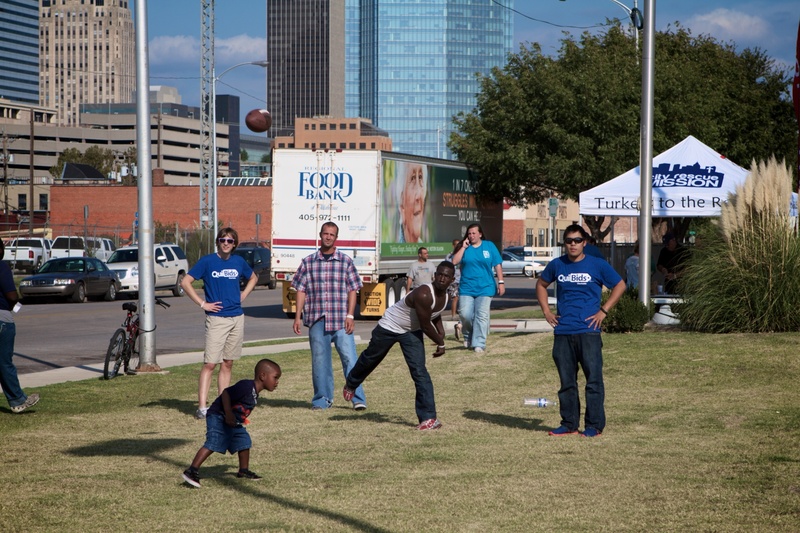 PHOTOS: #BringOnTheFun block party with the City Rescue Mission! Oklahoma City’s got a lot of great charities and non-profit organizations, but we’re especially proud to partner with the City Rescue Mission, a non-profit that works tirelessly to provide the city’s homeless population with long-term aid and solutions that will keep them clothed, fed, and housed for good. 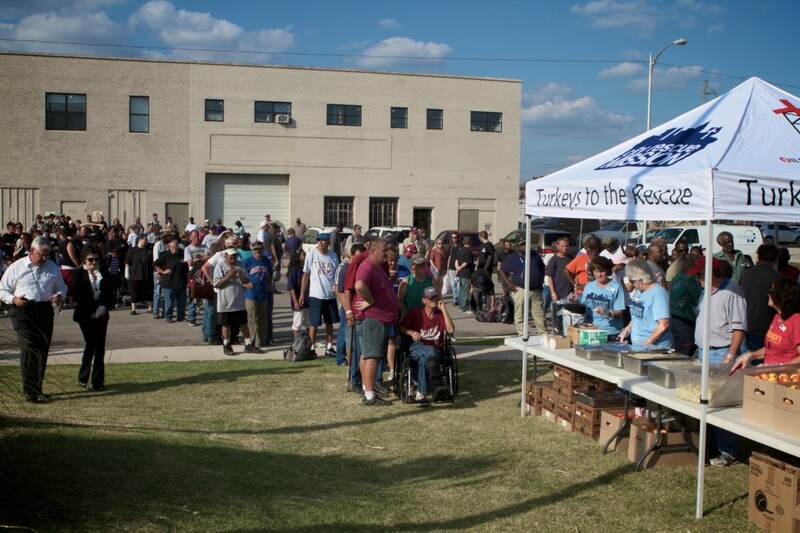 Yesterday afternoon was a big milestone for the Mission, as they opened the doors to their brand-new Impact Hunger Food Resource Center, which will work in partnership with the Regional Food Bank of Oklahoma to serve the local needy. The Mission estimates that they’ll be able to provide 1.2 million free meals to people within its first year alone! 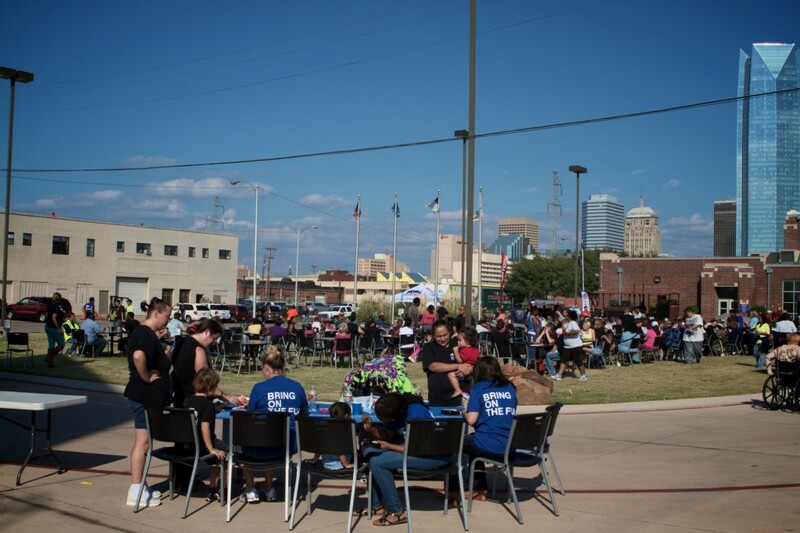 To celebrate the opening of the food center, the Mission wanted to host a block party for its patrons complete with dinner and entertainment, so they called on QuiBids to provide the latter! Our business is all about fun, so we do the same with our charitable work, an effort we call #BringOnTheFun! 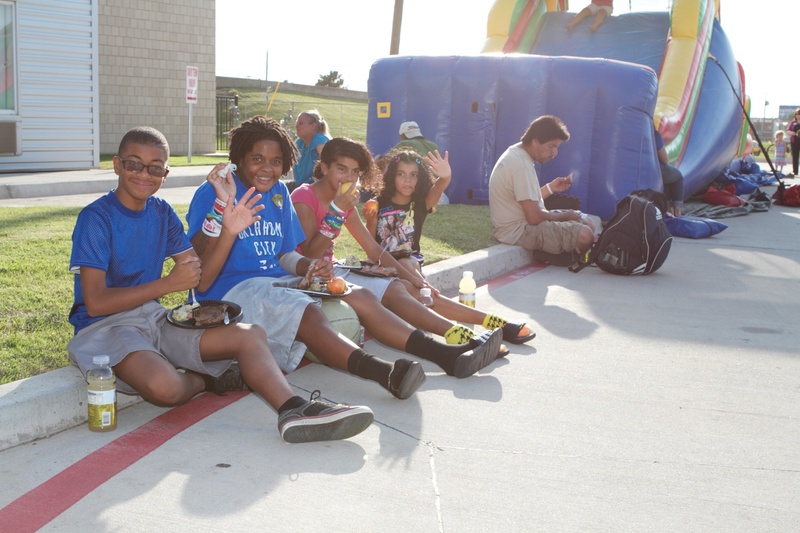 So check out these photos from the block party! 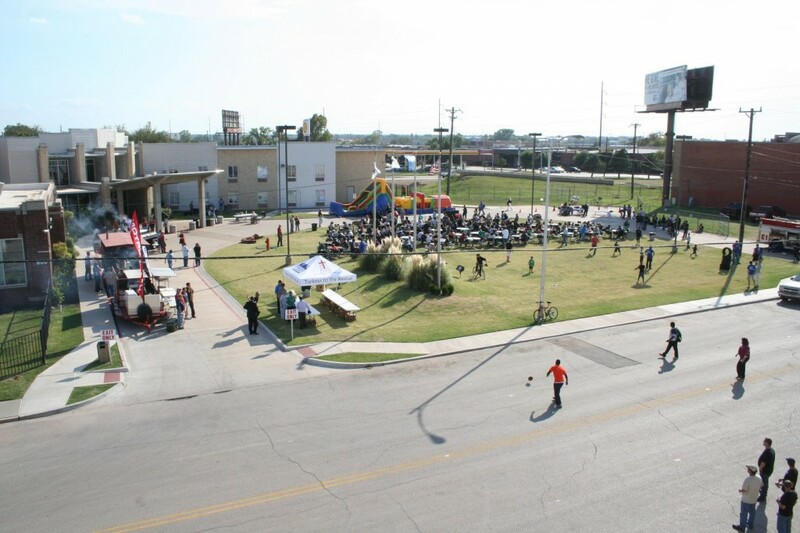 Here’s what it looked like from across the street in the early goings! Two words say it all: Bouncy castle. Well, I guess it’s more of a bouncy obstacle course, but potato-potahto. 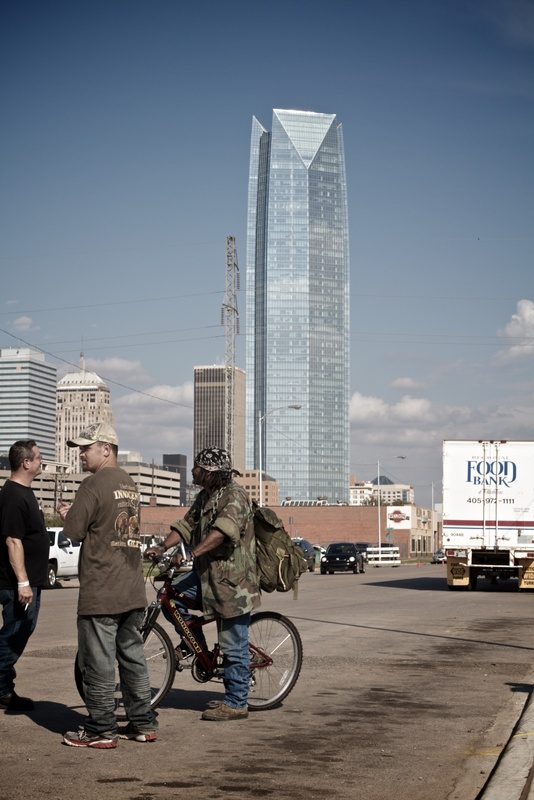 That’s the Devon Tower! 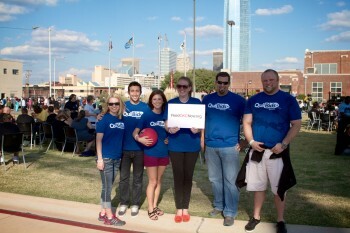 Downtown Oklahoma City made for a nice backdrop for the block party! 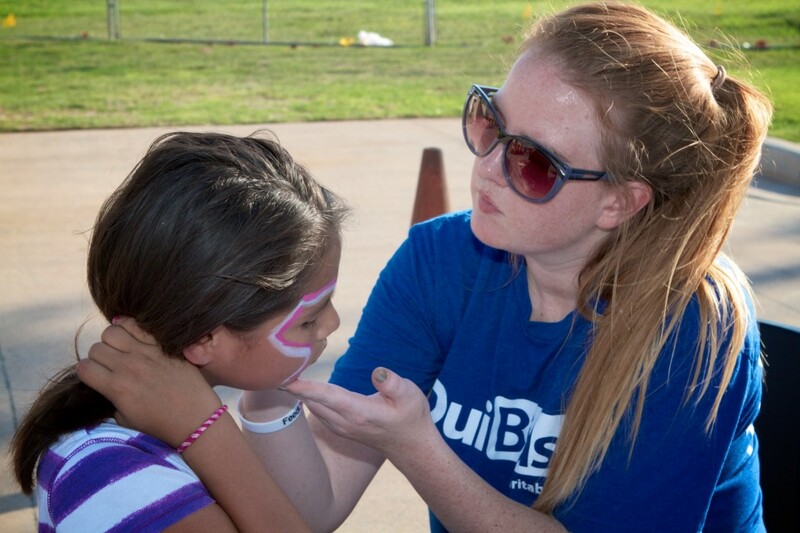 A couple of QuiBids employees (that’s them in their #BringOnTheFun T-shirts) spent the afternoon face-painting. Who do babies love? Babies love QuiBids employees. Or maybe it’s the other way around, or both. Whatever way, that’s the new Food Resource Center in the background. Seriously. 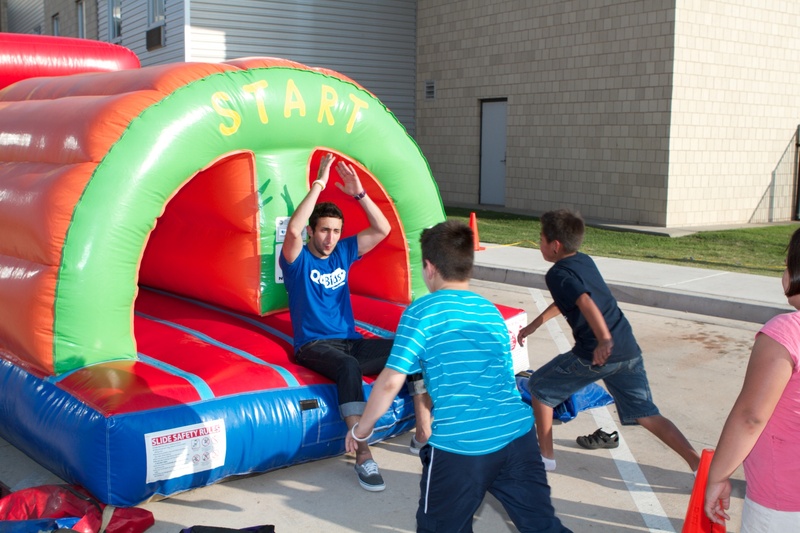 What’s more fun than a bouncy castle? 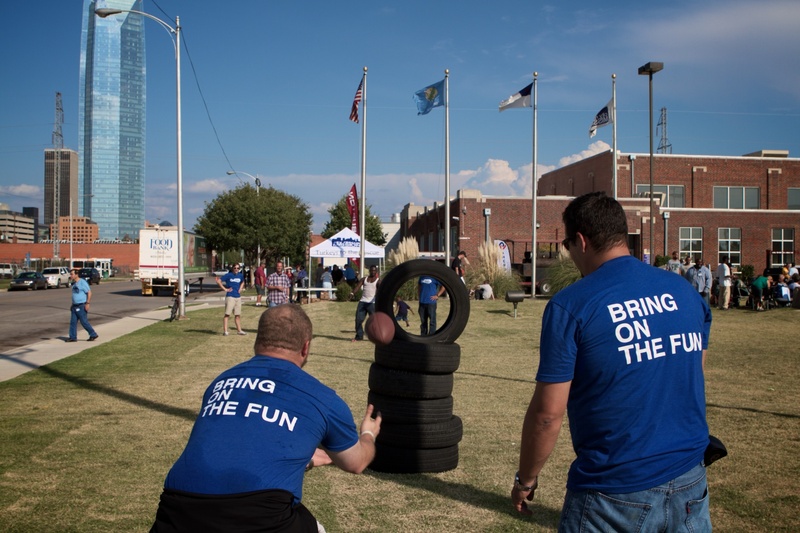 We set up some tires for people to test their football-throwing skills. This dude had a cannon. It got pretty hot out there, and shagging footballs is a lot more tiring than it looks, especially when you’ve got Tom Brady out there throwing rockets. 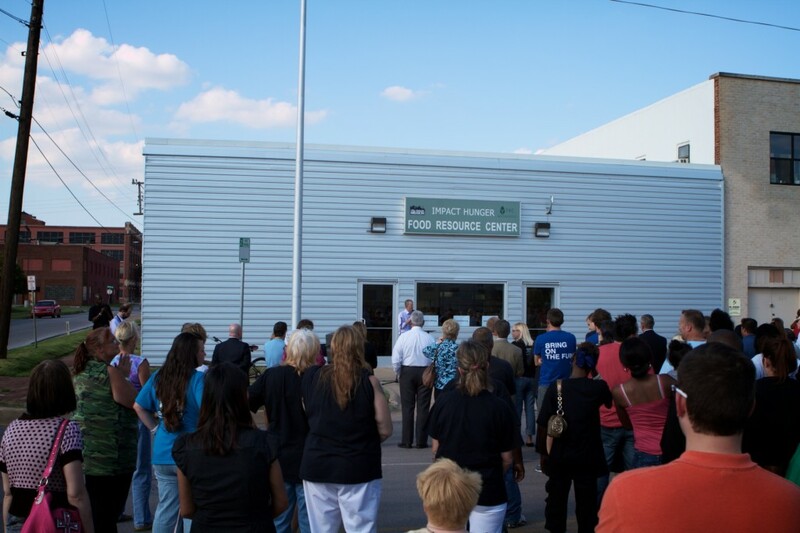 Everybody gathered around for the official opening of the Food Resource Center! 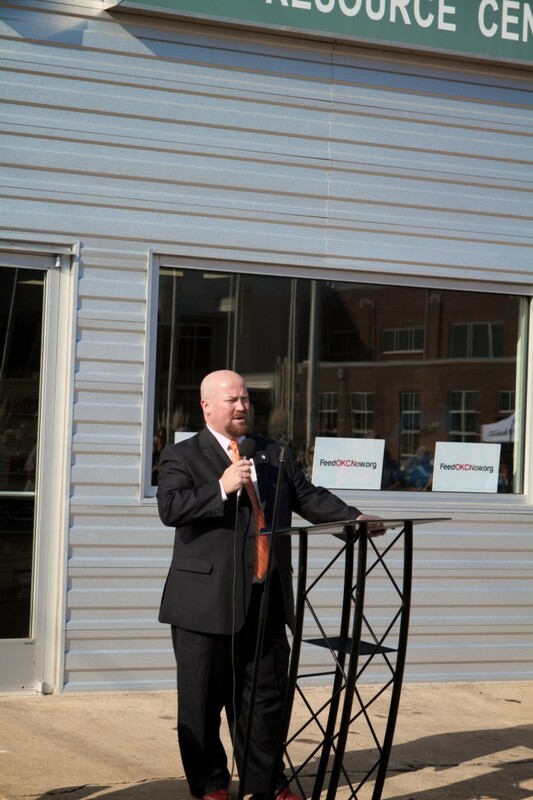 Oklahoma State house representative Joe Dorman was invited to speak at the opening, and he had some really awesome encouraging words for the work that the City Rescue Mission is doing! Dinnertime! 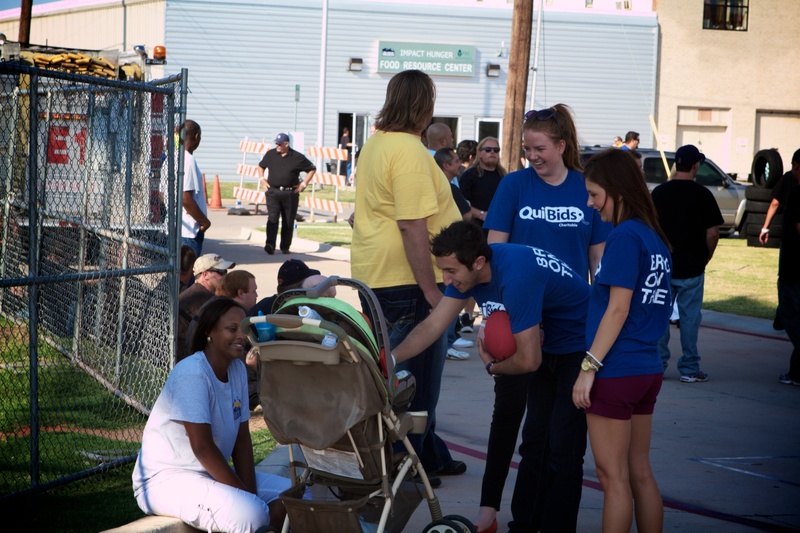 The Mission fed more than 500 people with juicy steaks grilled up by Oilfield Christian Fellowship and served by volunteers. One of our employees made a new friend. Dawwwwwww. We got a band to play! 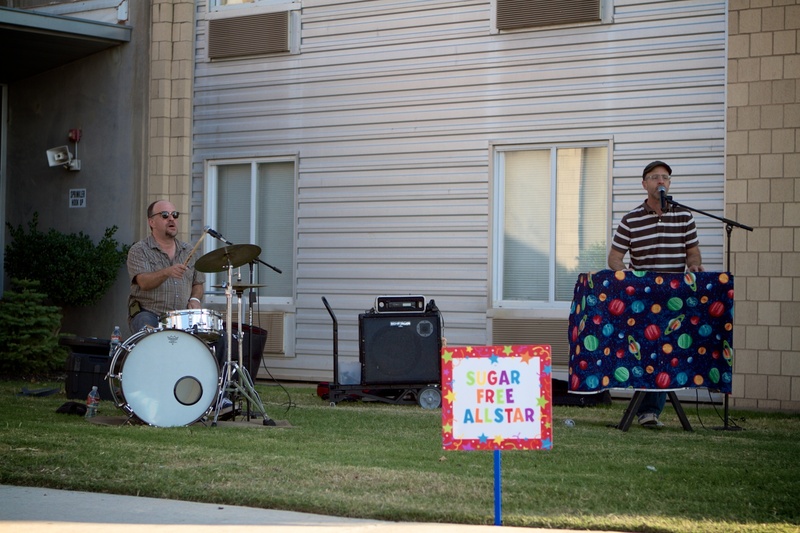 In addition to being super cool dudes, Sugar Free Allstars are super-generous! They donated 100% of their regular gig fee to the Mission! And not a face went unpainted that day. Seriously, I saw a bunch of kids with Batman symbols stretching from ear to ear. 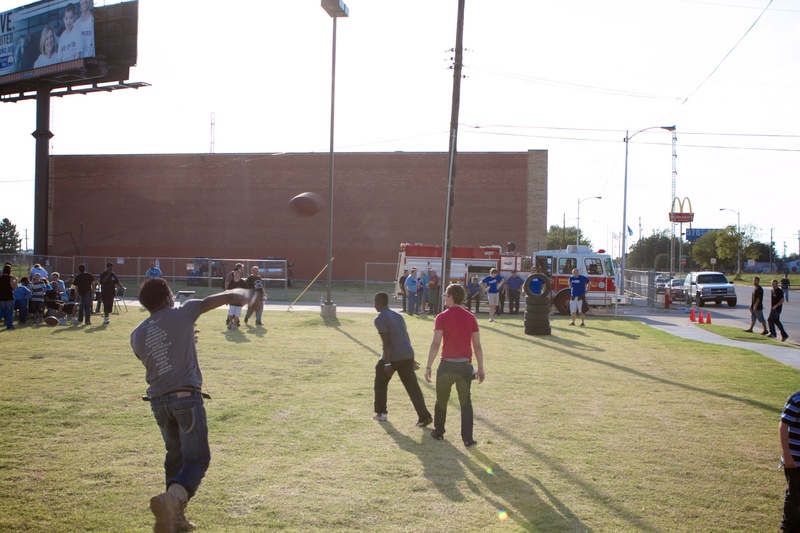 Believe it or not, people actually sailed footballs through the tire from this distance. 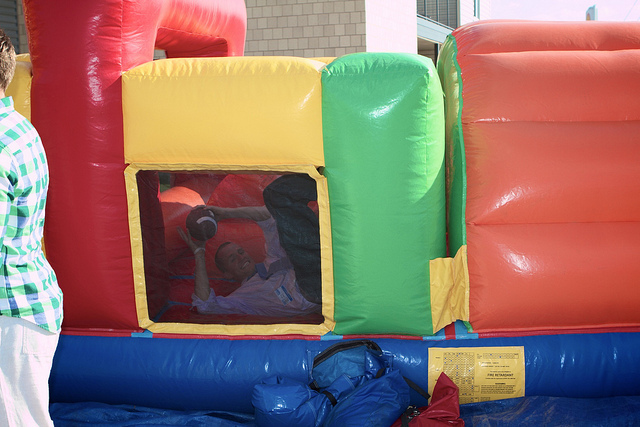 Shortly after his stint at the Mission, our Compliance manager Nader announced that he’d quit his job to pursue his true calling of becoming a full-time bouncy castle referee. Nom nom nomming on some steak! 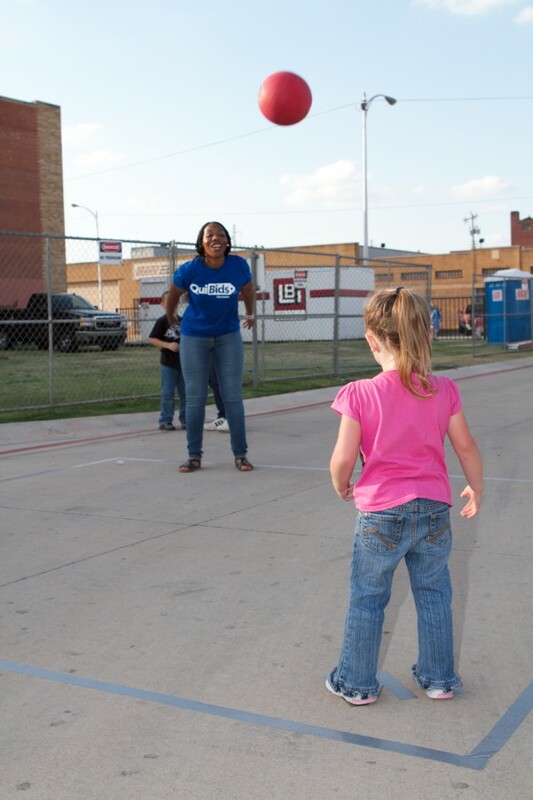 Remember four square? Now it’s a social media platform, but back in the day it was one of our favorite elementary school recess games. 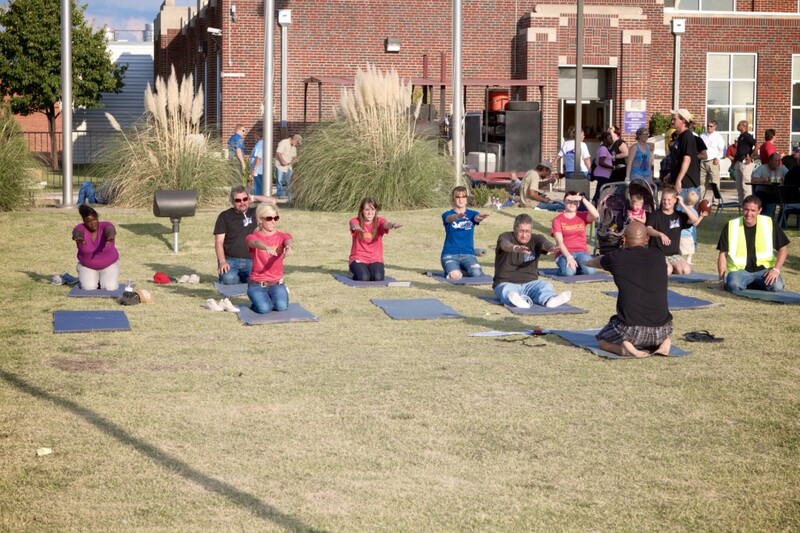 We also had a friend come out to teach some folks at the mission some yoga poses to help take care of their bodies! Looking for a way to donate the City Rescue Mission? Here’s how! For more photos, check out QuiBids’ Flickr page! All photos by QuiBids employee Erik Gause, unless otherwise noted.